Draft season is here! Who is rising and who is falling as camp battles heat up? We do the work here so you don’t have to. For those of you looking for an edge and committed to outworking your fellow coaches toward finding those hidden gems, there’s arguably no better place to spend your time now than digging through training camp stories. Every year, we have virtually (sometimes completely) unknown players who find their way to a 53-man roster and onto game-day fields. And each year, those coaches who spend their time combing through camp reports get a head start on adding those players. Committed, as we always are, to helping you uncover those unknown names before any other site, this training camp report series will spin you around the league looking to uncover a few players each week. One word of caution if I might. Roster management is an oh-so important aspect of developing a competitive roster. You must have a goal for building your team and a keen eye and steady hand when it comes to evaluating your team and determining who should be dropped, who should be retained and who should be added. Don’t be “that guy” who adds players every time they are mentioned on Rotoworld. 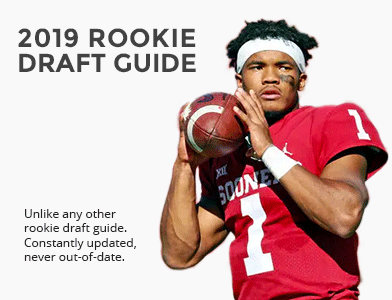 The last thing you want to do is to release last week’s top riser for this week’s top riser, only to find that last week’s player goes on to be this year’s “hot add” when the season begins. If you have space on your roster, by all means pounce on these names. If, however, decisions need to be made, be careful of jumping on the most recent Johnny-come-lately. I will not be highlighting every team. Only those with notable events will be listed. Appreciative husband and proud father who poorly attempts to balance family life with his passion for creating the largest, most helpful and most impactful fantasy community on the planet! 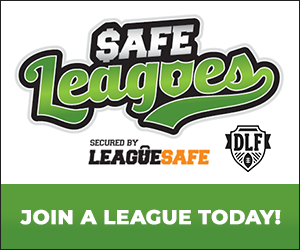 DLF was created for the community and we're committed to each member within it! 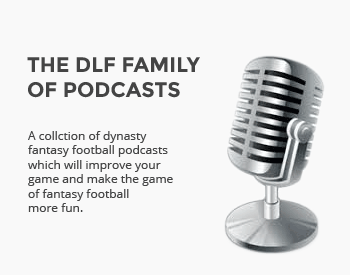 Hope anyone playing this great game will call DLF home in some way!